The PowGETEG project deals with energy recovering at a steel foundry. It aims at generating 1 kWel from exhaust gas between 550 and 700 C. The final system comprises of four 250W TEG channels, each with its MPPT boost converter. All power converters are connected to a 200Ah lead-acid battery and to an inverter for AC loads. 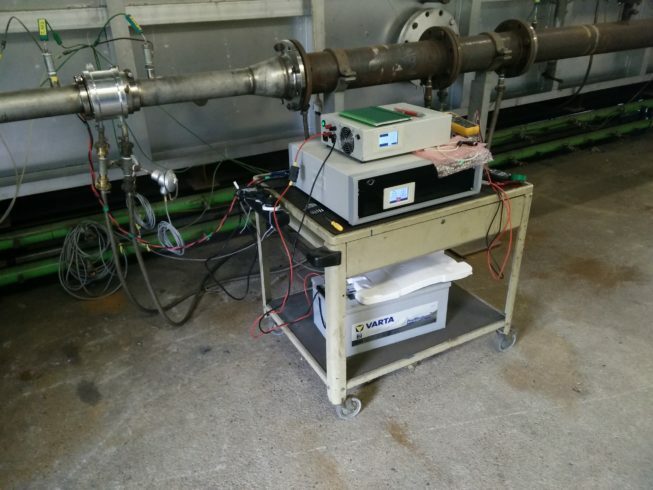 The project also investigates the use of heat pipe to increase thermal energy extraction from the exhaust gas. A remote measurement system logs all experimental data and ensures safe operation of this complecated thermo-mechanical-electrical system.